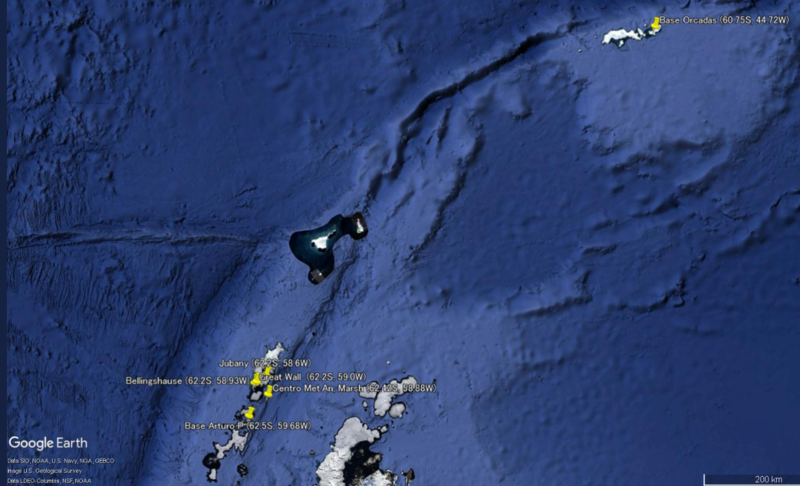 These six stations in the South Shetland Islands or the South Orkney Islands (located in the Antarctic Ocean) have even seen a slight cooling trend for decades. 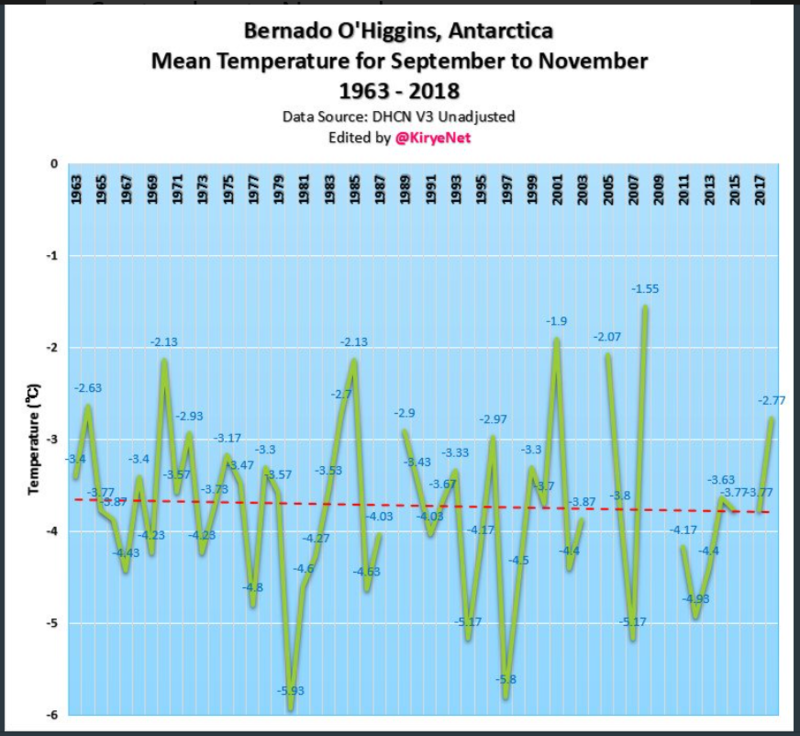 At Bernado O’Higgins, Antarctica, the mean temperature from September to November 2018 was -2.77 ℃. There’s been no warming trend from 1963 to 2018 for September to November. 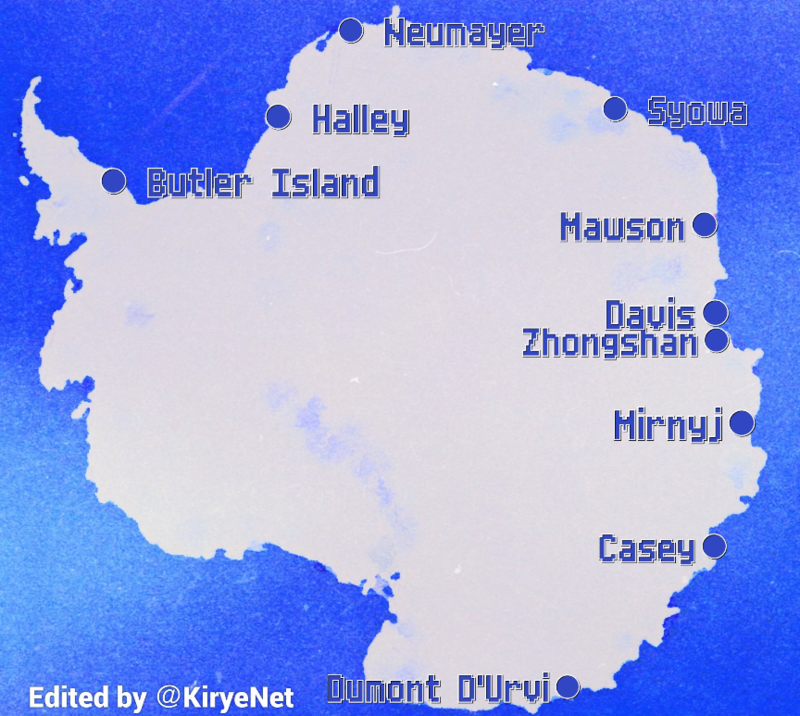 Chart: Kirye. Data source here. These stations have not seen any warming over the past decades. See charts and data sources here. At the other end of the earth at the North Pole, Arctic sea ice has not been cooperating at all with the doomsday scenarios of the global warming alarmists. Some of them said it should have gone ice-free in late summer by now. 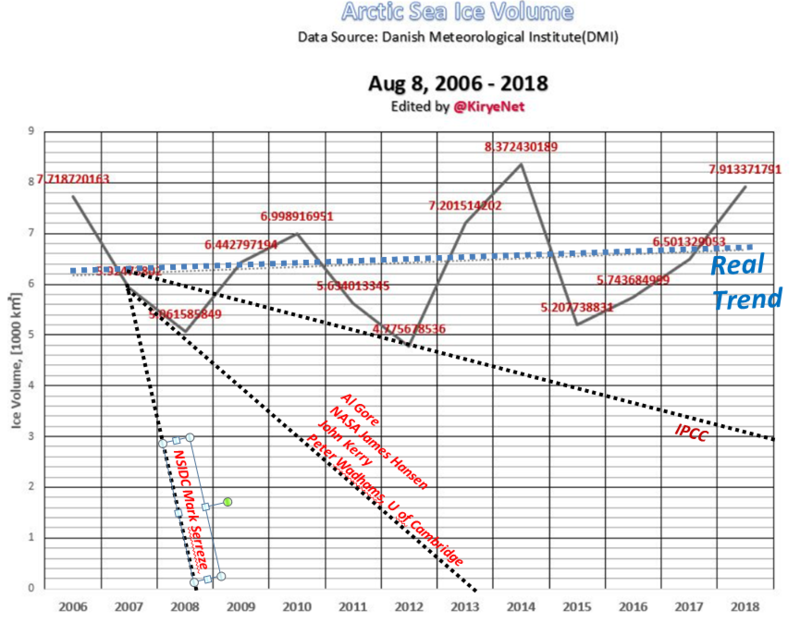 In summary: the polar ice has been holding up well for more than 10 years. The earlier predictions are totally wrong. 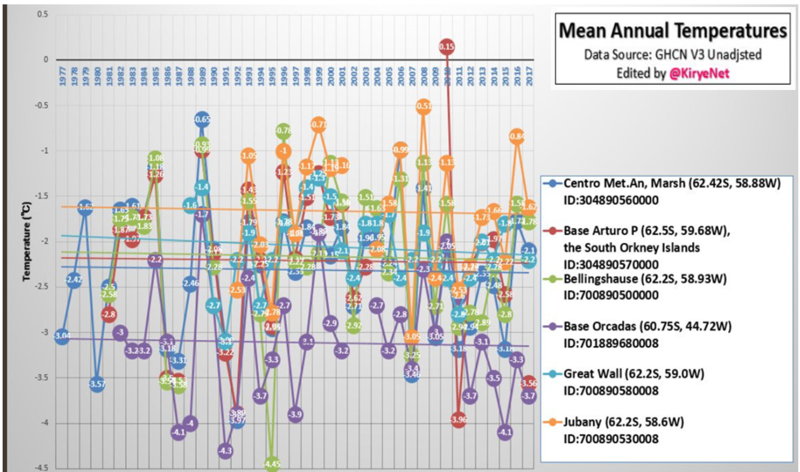 And in historical context, there is more ice today at the poles than at most times over the past 10,000 years. Pierre Gosselin contributed to this article as well. 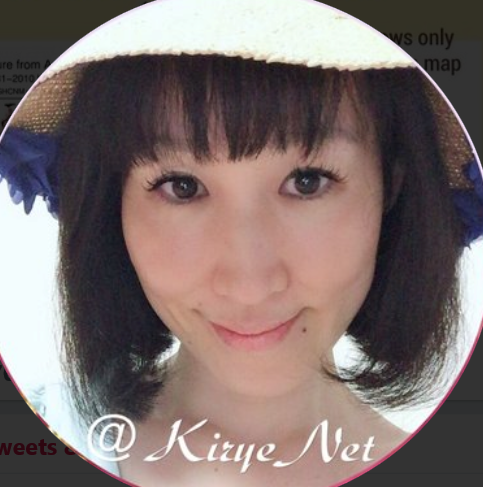 Follow Kirye at Twitter here.